With the help of the diamagnetic character of the metal "Bismuth" you can cause a magnet to levitate without any electronics. For this experiment I used two disc magnets S-03-01-N, which I positioned between two pieces of bismuth. To work a little against gravity, I placed two W-05-N50-G cube magnets above the pieces of bismuth. The hangar is made of a copper wire which was bent to the proper height by "trial and error". 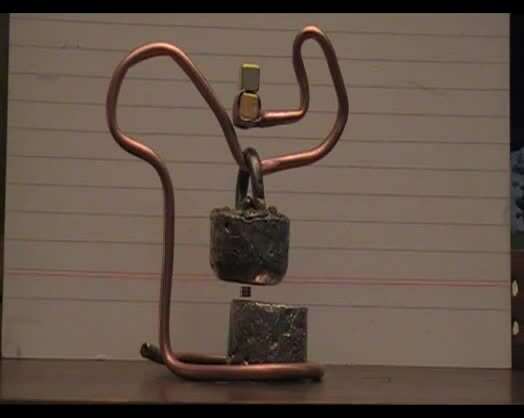 And look: There you have a levitating magnet, without any complicated electronics!